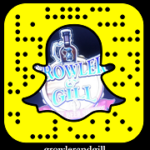 Just visiting Growler & Gill is an event, but we feature weekly and special events, too. Monday – Live music most nights starting at 7 p.m.
Tuesday — Open Mic 6-11 p.m.
Wednesday — Trivia with Mark & Peggy 7- 9 p.m. Reservations recommended. Thursday — Free beer tastings 6–9 p.m. Check out upcoming tastings on our calendar. Happy Hour every weekday 4-6pm (Fri 3-6pm). $2 off pints and goblets, and wine! Weekends— See below or visit our calendar for special tasting events, music events, Charity Bartender events and more.